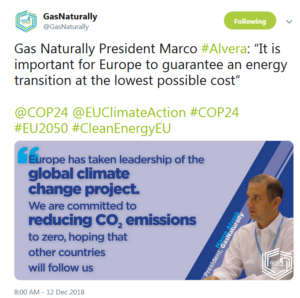 On 12 December GasNaturally organised a discussion exploring the ways in which natural gas together with other energy carriers and low-carbon technologies can help the EU and the world address climate change. 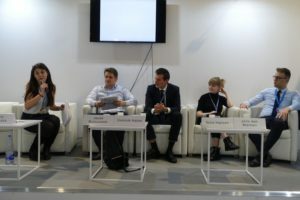 The debate was part of a series of events held at the EU pavilion surrounding the launch of the EU Strategy for long-term greenhouse gas emissions reductions. 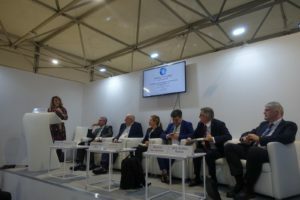 The representatives of the European natural gas, solar and hydrogen industries, as well as the International Renewable Energy Agency, the Energy Future Initiative and the European Commission shared their views on potential pathways to a net zero emissions energy system. 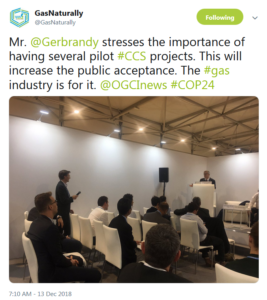 On 13 December the gas industry presented innovative solutions and new approaches to address emission reductions. Panelists from the gas industry, the financial sector, international organisations and the research community shared their views on Carbon Capture Use and Storage (CCUS) and the conversion of natural gas to hydrogen in a low-carbon economy, as well as the progress achieved in reducing methane emissions across the natural gas value chain illustrated by concrete examples and case studies. 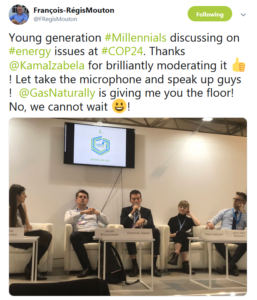 On 13 December, GasNaturally organised also a discussion between millennials from across Europe on how to effectively address climate change. The speakers debated the role of innovative gas technologies such as CCUS and hydrogen production and utilisation. They have also addressed the policy framework which would stimulate further development of the pathways aiming at reducing emissions. 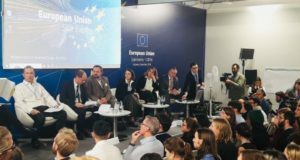 The conclusion was that this type of debate should definitely take place in Brussels!